If you’ve ever wanted to get up close and personal with a President and a Queen, now is your chance. The dentures of President George Washington and the scalers of Queen Victoria housed at the National Museum of Dentistry are among its 40,000-object collection of dental instruments, furniture and artwork — one of the largest and most significant in the world. Those artifacts will be outshined by living legends tonight when the Baltimore, Maryland museum hosts the opening reception for The Lucy Hobbs Project® Annual Celebration Honoring Exemplary Women in the Dental Community. The two-day event begins June 4 with an evening reception from 6 to 8 p.m. at the museum, 31 South Greene Street, Baltimore, Maryland, 21201. It seems serendipitous that among the museum’s dental treasures are contributions from Dr. Esther Wilkins, 98, one of one eight Exemplary Members in the Dental Community to be feted at the event. Though in 1950 she had never taught a class, except Sunday school, Massachusetts native Dr. Esther Wilkins was willing to venture to the Pacific Northwest and lead the first eight students enrolled in the dental hygiene program in Washington. As keynote speaker for the June 5 event, Carey Lohrenz, the first female F-14 Tomcat Fighter Pilot in the U.S. Navy, will describe her journey of fearless leadership as a pioneer in military aviation. Her story serves as another contemporary parallel to Lucy Hobbs, who, in 1866, became the first American female to earn a degree in dentistry. Dr. Hobbs was denied access to education based on her gender, but persevered to learn dentistry through apprenticeship, and eventually graduated from the Ohio College of Dental Surgery. Powered by Benco Dental, The Lucy Hobbs Project is a national, long-term program based on three pillars – networking, innovating and giving back. Named after Hobbs, this project aims to bring women together from all facets of the dental industry – dentists, dental assistants, hygienists, receptionists, sales representatives and others. The project is free to join and offers networking opportunities, education programs and charitable events. Luz Marina Aguirre, DMD, Assistant Professor of Dental Medicine at Columbia University College of Dental Medicine in NY, NY, leads by example as faculty advisor for the student chapter of the Hispanic Dental Association. As president of the New York chapter of the Association, she personally dedicates herself to the reduction of oral health disparities. Lindsay D. Limbaugh, DMD, MS, a Board Certified Orthodontist, partners in a two-location practice in Huntsville, Alabama. In between implementing treatment innovations professionally, the Diplomate of the American Board of Orthodontics encourages the next generation, hosting Girl Scouts at her office — even leading a campaign to create a “Dental Awareness” badge. BB Maboby Bahadarakhann, who dedicates her life to providing services to those in desperate need of oral health assistance, founded SmileOnU in 2013, while working as an oral surgery representative. Born in a refugee camp in Thailand and raised in Chicago, Illinois, BB lives today in Newport Beach, California, where through her nonprofit organization she is able to rebuild smiles in the Orange, San Diego and Los Angeles counties. Kealy Akin, a Territory Representative from the Dixie Region in Nashville, Tennessee, says that as a working mom of two she gains inspiration daily from female customers who are running successful practices while balancing busy home lives. In just under two years with Benco Dental she has spearheaded several Lucy Hobbs Project initiatives in her area. 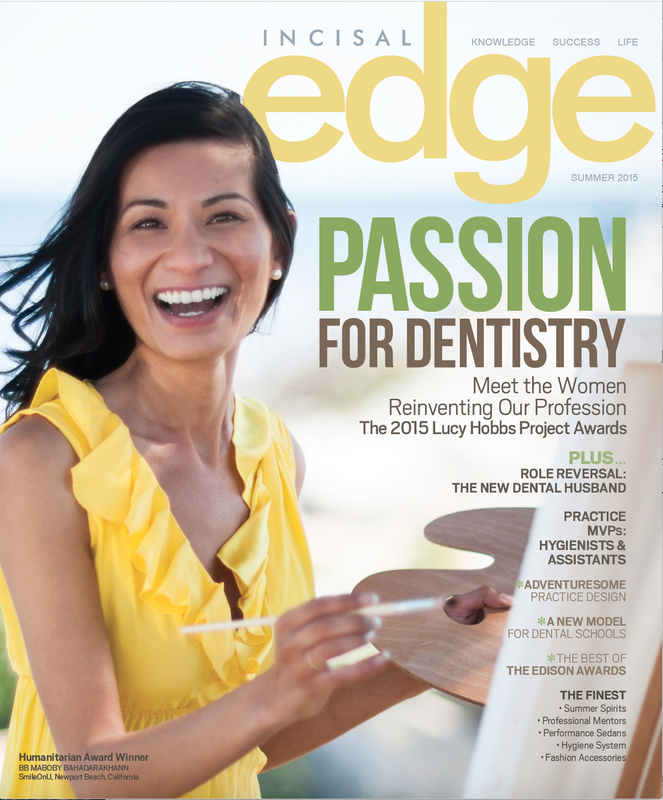 Amanda Seay, DDS, channeled her early affinity for the arts into a focus on restorative dentistry at the private practice she owns in Mount Pleasant, South Carolina. Dr. Seay’s family emigrated from Vietnam to the U.S., where she was born shortly afterward. The challenges that accompanied only served to ignite her thirst for education. As a clinical instructor and Key Opinion Leader for dental companies involved with the beta testing on new products and materials, she continues that quest. Kendra S. Schaefer, DMD, returned to her Midwest roots after graduating from, teaching at and practicing at the prestigious Ivy League University of Pennsylvania. As one of the few Maxillofacial Prosthodontists in the Midwest, she utilizes her expanded skill set to provide treatment in her private practice in Madison, Wisconsin. Schaefer continues to share her talents by giving back locally and internationally with Operation Smile, Medical Ministry International and the Academy of Prosthodontics Outreach Program for Native Americans. Esther Wilkins, BS, RDH, DMD, credits the fortitude her hardworking mother and mentor sister gave her to accomplish what she needed to do with her life. She devised a program of study and created mimeographed handouts that evolved into an up-to-date textbook for the profession of dental hygiene. The textbook has been used around the world and translated into several languages. Today, when not working on its 12th edition, Dr. Wilkins shares knowledge amassed throughout a legendary career with students at Tufts University School of Dental Medicine, where she graduated in 1949. Yet another inspirational woman in dentistry will greet participants in the form of North Carolina practitioner Dr. Desiree Walker, who originally competed in 2014 on the NBC television show American Ninja Warrior and was recently invited back for its seventh season, which was shot at Universal Studios, Orlando in May. Throughout the celebration, attendees will be hosted to events at the National Museum of Dentistry and Baltimore Marriott Inner Harbor at Camden Yards, including a Continuing Education opportunity, courtesy of Benco Dental and event sponsors: Kavo Kerr Group and P&G Crest + Oral B. Continuing Education credits will be awarded, at no cost to attendees, via a presentation “Overcoming Life’s Goliaths and the Power of Vision,” led by Motivational Speaker Dave Weber. In lieu of a fee to attend this event, attendees are asked to bring an article of in-season interview appropriate apparel to donate to the Dress for Success organization. Passions take center stage at Lucy Hobbs Project celebration.